On Monday this week the Health and Safety Executive (HSE) announced that they were launching a two-week inspection blitz focusing on poor conditions likely to lead to ill health on construction sites, a sector in which occupational hygiene controls have, for too long, been overlooked. Last year there were 39 fatal injuries to workers in the construction sector. However, it’s estimated that there are about 100 deaths from occupational disease for every fatal accident in the construction. The HSE have said that their inspectors will be looking in particular at respiratory risks from dusts including silica materials; exposure to other hazardous substances such as cement and lead paint; manual handling, noise and vibration. A particular risk in construction work is exposure to crystaline silica dust which is present in materials including stone, concrete, aggregates, mortars and other materials. Respirable particles (smaller than 10 microns in diameter and can reach the deepest regions of the lung) of crystalline silica, which is produced during many common activities such as cutting, blasting or drilling granite, sandstone, slate, brick or concrete, penetrate deep down into the lungs where they can cause serious damage. 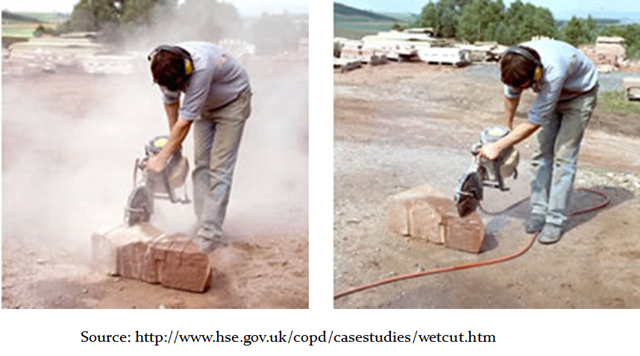 Regular, repeated exposure to respirable crystalline silica can lead to silicosis, a debilitating lung disease, chronic obstructive pulmonary disorders (COPD) and lung cancer. It usually takes many years of exposure to silica dust before these symptoms start. Most people who develop silicosis or lung cancer will have been exposed to low amounts of silica dust for 20 years or more without being aware anything was wrong. Unlike safety hazards where the effects are short term, health hazards are often ignored as the symptoms only appear many years after exposure. 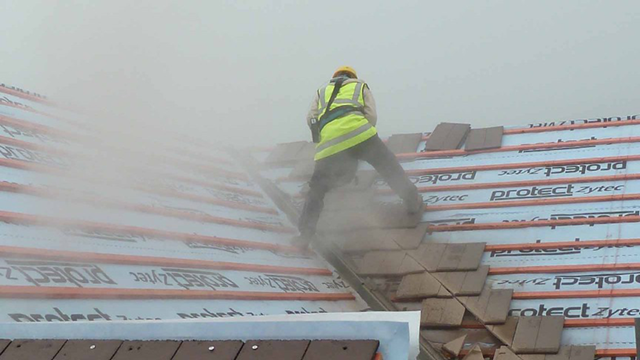 Over 500 construction workers are believed to die from exposure to silica dust every year, yet research carried out on behalf of the HSE suggests that employers underestimate worker exposure to silica in the construction industry. Yet for most of the common operations where workers are at risk from exposure to silica, there are control measures available that are usually relatively straight forward to implement. 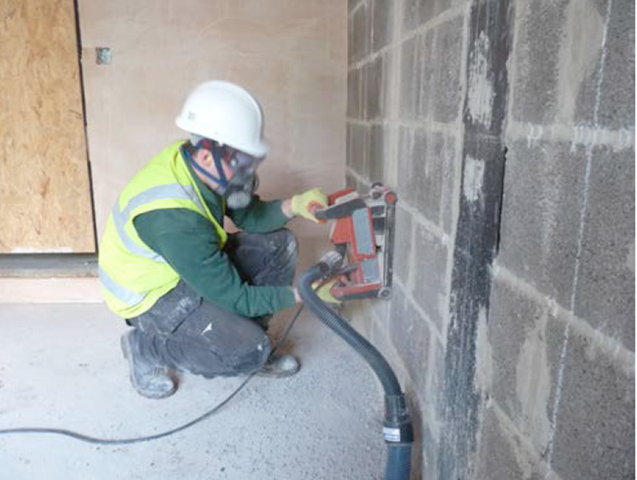 One common task is the cutting of concrete or stone using an angle grinder where extremely high dust concentrations can be generated. Sometimes it’s possible to eliminate the risk entirely by using alternative materials such as plastic kerb stones. they’re lighter than stone or concrete, they also have other health benefits by reducing musculoskeletal injuries associated with manual handling. In cases where substitution isn’t possible, using water suppression techniques can be very effective in reducing dust generation at source. Fitting on-tool extraction onto power tools can also be effective. Research carried out by HSE has shown that a well designed system can reduce exposure by as much as 40%. 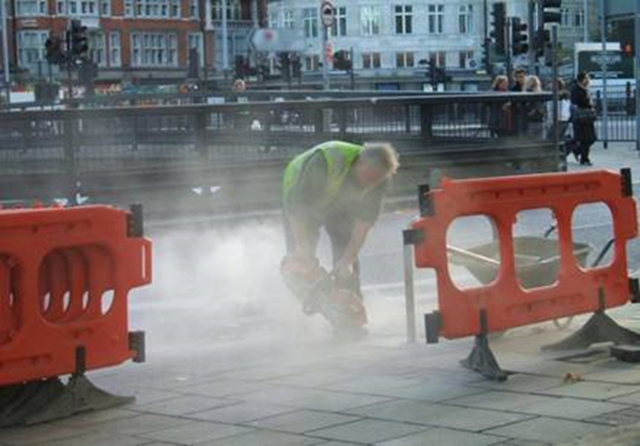 Exposure to silica dust can be prevented or controlled if employers recognise the risk and are willing to do something about it. Hopefully the HSE’s “blitz” on construction sites will help to raise awareness and lead to action by employers to address these serious health risks.